We're a modern hostel located in Stockholm City. With about a minutes walk from the busy streets of Sodermalm, you can find anything within walking distance. We offer clean single double and triple rooms. We serve breakfast every day. The breakfast is included. Great hostel for a city trip with a friend! 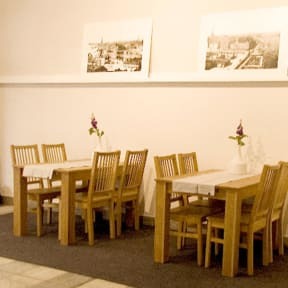 Located in a nice area with lots of restaurants and close to the metro, but Gamla Stan is also just a 10 minutes walk. The breakfast is great, lots of choice, and if you choose to cook yourself, the kitchen is huge! Only thing that I didn't like is the bathrooms; the one for men was close to our room, the one for women on the far other side of the building... So prepare yourself for a long walk, don't wait too long, if you know what I mean. 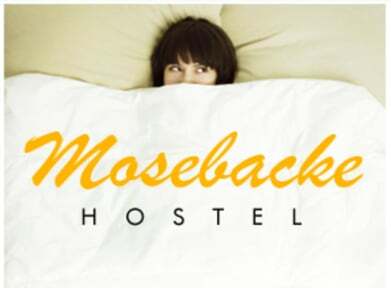 My girlfriend and I really enjoyed our stay at Mosebacke, there was nothing to fault. The room was clean, as were the facilities, and staff were friendly. The breakfast each morning was fantastic. I would definitely recommend this place to anyone looking for a high quality hostel at a great price. Thank you for an enjoyable experience Mosebacke team. It’s an okay hostel with a great (free) breakfast. You’re a 20-30 minute walk from the points of interest which isn’t terrible but you’re also close to a lot of great food and coffee places as well. Our 3 person room wasn’t our favorite because there was no window so we didn’t really have any air flow in the room. The bathroom wasnt the cleanest either - not sure it’s ever cleaned. Overall, we probably wouldn’t stay here again. It isn’t the worst but would try some place different. All in all fairly good value for money BUT impossible to get a good night’s sleep or to sleep beyond 6am as other guests walking around the corridors literally make your room and bed vibrate. More carpeting or signs asking guests to be more considerate would be good! The hostel is nice, in a really good location, but it is a little bit expensive for what it offers. It could improve the cleaning. For instance the toilets should be cleaned more often during the day, and some of the the coffee mugs were dirty. Most of the staff were nice, only one lady with grumpy face in the reception. We were not happy after our stay. Upon arrival we asked for parking options. The place pointed out by us was declared as "best parking option" by a staff member (sitting behind the desk). The next day we had a parking ticket and the manager denied that said staff member was even there that day. They furthermore refused to compensate us in any way and neither did they offer help in handling the situation. The rest of the stay was ok: Room without window, dirt under beds, really good breakfast. Good location but.. the men's WC was under repair everyday around 8am. The room had almost no sound proofing, so we woke up to the noise from construction+ footsteps every day. The room had no window which made the air stale. (Does this abide to the international building code?) The women's WC smelled and there was a column in the middle of our room. When I asked a staff member if I can check out early with a partial refund, they said send an email to the manager in charge. Never got a reply. Mosebacke Hostel repeatedly failed to fulfil the basic standard of cleanliness. Is it too much to ask for a daily cleaning of the shared bathrooms? The bins don’t get emptied, which led to disastrous conditions in the female bathrooms. Also, the ventilation system in the toilets is too weak and the toilets reek of feces to the point that I avoided using them. There were about a dozen other small things, where a hotel could excel, but Mosebacke was sub standard. Dirty Bathrooms. Bedrooms with out windows, like a dungeon.